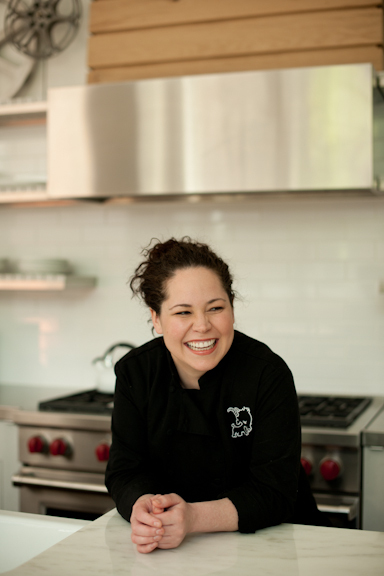 Of course you wouldn’t be wrong to refer to Chef Stephanie Izard as the fourth winner of Bravo’s Top Chef competition, but really you’d sound like an ignoramous for shirking your restaurant industry history and not fully recounting her provenance; thereby giving her credit where credit is due (while looking really smart yourself for having and sharing this knowledge). This isn’t the first time we’ve mentioned Izard in INSIDE F&B and it’s true that this fourth season winner may not have been in front of the camera when this influential television program began, but to her “1st” credit she is the first (and only) woman to have won Top Chef. What else has Izard done first? Well, she helms the restaurant that was the subject of Saveur magazine’s (www.saveur.com) first ever restaurant review and her first James Beard Award (www.jamesbeard.org) nomination for Best New Restaurant came around the same time she was first nominated for Food & Wine Magazine’s Best New Chefs list (www.foodandwine.com). Just being honored by her peers and the media for leading the way isn’t enough for this chef. This year Izard decided to make her first foray to the Palm Beach Food & Wine Festival where today, along with Beard Award winning chef Stephen Stryjewski (of New Orleans’ Cochon www.cochonrestaurant.com), Chef Julien Gremaud (Pistache French Bistro, West Palm Beach – www.pistachewpb.com), and Jennifer Reed (of The Sugar Monkey, West Palm Beach – www.thesugarmonkey.com) she’s cooking the Southern Hospitality: Pig & Goat lunch (www.pbfoodwinefest.com/schedule/). Notional is searching for professional, as well as aspiring chefs, with a keen palate and a flair for entertaining to prove they can throw the BEST DINNER PARTY out there for acclaimed Chef Rocco DiSpirito and his celebrity friends. Can you cook for the most discerning palate? Do you have such a passion for cooking and entertaining that you dream about all the details of a dinner party from soup to nuts? Bring us your signature dishes, competitive drive, and your proven passion for entertaining. Must be available to FILM for a 2-day shoot in NYC in Jan/Feb 2011.